The Miter Box is a modern tiny house design focused on efficiency and simplicity while maintaining elegance. It’s 122 square feet plus a 28 square foot sleeping loft upstairs. The design includes an RV style dining table that converts into a bed. 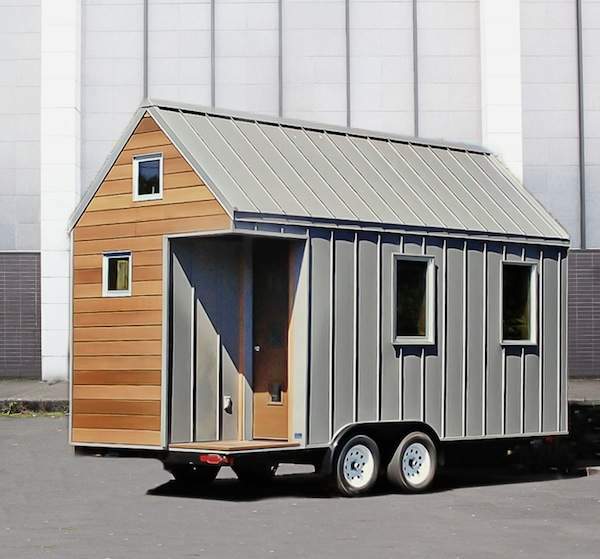 It can be built for $22,000 in materials if you build it yourself using your own labor. Learn more and consider buying the plans here. They’re on sale through 12/31/13. What is the total weight of this home.